Have you suffered a burn injury? Attorney Vargas will fight for you as your burn injury attorney in Rancho Cucamonga. Burn injuries range from superficial first-degree burns, which cause damage to just the outer layer of skin, to devastating third degree burns, which affect all layers of the skin plus underlying tissues and can cause permanent damage. If you have suffered a serious burn injury, it is likely you will need extensive medical treatment, including multiple surgeries, extensive hospital stays, and lengthy rehabilitation. If you have suffered a burn injury due to someone else’s negligence, you shouldn’t have to pay for your own medical bills and other damages. Instead, that person can and should be held liable for the consequences of their actions, including all the ways that your burn injuries have affected your quality of life. With Fernando D. Vargas working as your burn injury attorney in Rancho Cucamonga, you will have the expert representation needed to take legal action against the party who harmed you, whether this involves negotiating a settlement with an individual’s insurance provider or suing the manufacturer of a defective product in court. Premises accidents involving gas lines, building fires, water heater burns, etc. As an experienced personal injury attorney who has been successfully litigating burn injury cases since 1987, Attorney Vargas understands the legal statutes and the case law behind all these different types of burn injury accidents. He can help you identify the party responsible for your accident, gather evidence to prove that their negligence caused your injury, and fight aggressively to secure the compensation you need. At The Law Offices of Fernando D. Vargas, our number one priority is helping our clients resolve their cases successfully. We don’t think you should ever be expected to pay for representation that did not achieve your goals. That’s why we take burn injury cases on a contingency fee basis. 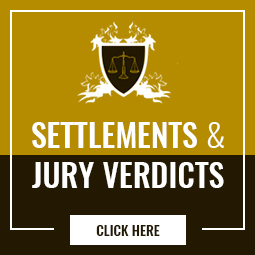 Attorney Vargas will personally advance all the funds needed to prepare your claim, and you will not have to repay him or pay any legal fees until after we secure your compensation. If we do not win your case, you will not owe us a penny. If you would like more information about your legal rights and options following a burn injury, please call 877-982-0707 now. The initial consultation is always free, and you can call any time 24/7 and receive a prompt response from Attorney Vargas.